This two-day training course provides individuals with the skills to install and deploy Microsoft Dynamics CRM 2013. The training material focuses on the components used within a Microsoft Dynamics CRM deployment, the hardware and software requirements needed to successfully deploy Microsoft Dynamics CRM, and the installation instructions for the primary Microsoft Dynamics CRM components: the Microsoft Dynamics CRM Server, the E-Mail Router, and Microsoft Dynamics CRM for Office Outlook. The course also covers upgrading from earlier versions, configuring an Internet-facing Deployment and administration tasks. This course is intended for implementation consultants, system integrators, or support professionals who need to install and deploy Microsoft Dynamics CRM 2013. Describe the components that are required for a successful Microsoft Dynamics CRM implementation. Identify the hardware and software requirements for components of a Microsoft Dynamics CRM implementation. Install Microsoft Dynamics CRM Server. Install Microsoft Dynamics CRM Reporting Extensions. Install and configure the Microsoft Dynamics CRM E-mail Router. Describe the deployment methods for installing Microsoft Dynamics CRM for Outlook. Configure Claims-based authentication and Internet-facing deployment. Upgrade to Microsoft Dynamics CRM 2013. Manage Microsoft Dynamics CRM organizations using the Deployment Manager. Describe the high availability options for Microsoft Dynamics CRM 2013. This module provides a high-level overview of the supporting technologies and describes the components of a Microsoft Dynamics CRM implementation. Describe the Microsoft Dynamics CRM offerings. Describe the licensing model and client access license types. Provide an overview of the supporting technologies. Examine the role of the Microsoft Dynamics CRM Server in a Microsoft Dynamics CRM deployment. Describe the ways to access Microsoft Dynamics CRM. Identify the differences between the two modes of Microsoft Dynamics CRM for Office Outlook. Review the options for managing emails. Review the role of Microsoft Dynamics CRM Reporting Extensions. Review the role of Microsoft Dynamics CRM Language Packs. This module focuses on installing Microsoft Dynamics CRM Server. It also discusses the required components and Server requirements. Describe the hardware and software requirements for the Microsoft Dynamics CRM Server. Describe the hardware and software requirements for the Microsoft SQL Server. Identify the components that are installed during Microsoft Dynamics CRM Server Setup. Review the options for creating the Microsoft Dynamics CRM Server website. Review the rights required to install Microsoft Dynamics CRM Server. Review installation troubleshooting and identify known issues. Identify the tasks and configuration settings that are completed after the installation of Microsoft Dynamics CRM Server. Describe how to install Microsoft Dynamics CRM using the command line. Describe how sample data can be added to a Microsoft Dynamics CRM implementation. This module describes the role of Reporting Extensions and provides an overview of the report types that are available in Microsoft Dynamics CRM. Examine the two types of Reporting Services reports. Review when Microsoft Dynamics CRM Reporting Extensions is required. Identify the requirements for installing Microsoft Dynamic CRM Reporting Extensions. Review when Microsoft Dynamics CRM Report Authoring Extension is required. This module explains how you can redeploy Microsoft Dynamics CRM and use the Microsoft Dynamics CRM Deployment Manager to carry out deployment-wide administration tasks. Describe the Deployment Manager and the role of deployment administrators. Review the steps to create new organizations. Describe the management tasks for existing organizations. Describe how to add an existing organization database to the deployment. Review Microsoft Dynamics CRM Server management tasks. Describe how to update the Microsoft Dynamics CRM web addresses. Review Microsoft Dynamics CRM license information. Describe the Microsoft Dynamics CRM Edition upgrade options. Explore why the redeployment of Microsoft Dynamics CRM is required. Examine Windows PowerShell for performing deployment commands. This module examines the planning considerations and the steps for upgrading an existing Microsoft Dynamics CRM deployment to Microsoft Dynamics CRM 2013. Identify considerations before starting an upgrade. Review the high-level phases of an upgrade process. Explain the need for a test environment. Identify the need to validate an upgrade of a test environment. Review the upgrade of the production deployment. Describe an in-place upgrade of Microsoft Dynamics CRM. Describe a migration upgrade of Microsoft Dynamics CRM. Describe the upgrade of the Microsoft Dynamics CRM Email Router. Describe the upgrade of Microsoft Dynamics CRM for Outlook. This module describes management topics that are common to each of the email processing methods and the email processing methods. Describe the email processing options in Microsoft Dynamics CRM. Explain email tracking and correlation. Discover how mailboxes are monitored. Describe the purpose of Microsoft Dynamics CRM mailbox records. Examine the email synchronization options. Review the requirement to approve email addresses. Explain the role of the Microsoft Dynamics CRM Email Router. Install the Microsoft Dynamics CRM Email Router. Review the Email Router configuration options. Review the purpose of deploying forwarding rules. Review options for installing the Email Router on multiple computers. Describe the role of Server-Side Synchronization. This module describes the installation requirements for the Microsoft Dynamics CRM for Outlook client and how to install and configure the client. Configure Windows Firewall to allow incoming connections on port 5555. Install Microsoft Dynamics CRM for Outlook. Review the hardware and software requirements for Microsoft Dynamics CRM for Outlook. Identify the deployment methods for installing Microsoft Dynamics CRM for Outlook. Configure Microsoft Dynamics CRM for Outlook to connect to Microsoft Dynamics CRM organizations. Configure user settings and options related to emails. Install Microsoft Dynamics CRM for Outlook using the command line. Review how Microsoft Dynamics CRM for Outlook with offline capability works and how to configure the offline database. Provide a background to claims-based authentication. Describe the requirements for configuring an IFD. Review the certificates required for an IFD. Identify the steps to install Active Directory Federation Service. Review the Active Directory Federation Service configuration steps. Review the steps to configure claims-based authentication in Microsoft Dynamics CRM. Review the steps to configure an IFD in Microsoft Dynamics CRM. This module provides information on maintaining performance, troubleshooting, and updating Microsoft Dynamics CRM. Describe how to change Microsoft Dynamics CRM service accounts. Examine how to manage system jobs. Show how to delete records using the Bulk Delete Wizard. Discuss areas to consider for a disaster recovery plan. Describe tasks in Microsoft SQL Server that can improve performance. Review ways to troubleshoot and diagnose problems and monitor performance. Examine how to configure tracing. Describe how to update Microsoft Dynamics CRM. Describe the Best Practices Analyzer. 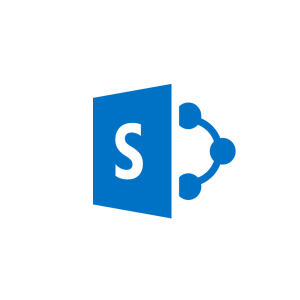 Describe the VSS Writer Service for Microsoft Dynamics CRM. Examine the Microsoft Dynamics marketplace. This module provides a high-level overview of the high-availability options. Review the reasons for installing Microsoft Dynamics CRM on multiple computers. Describe the role of Network Load Balancing in providing enhanced scaling and availability. Describe the options for Microsoft SQL Server in providing enhanced scaling and availability. Examine the high-availability options for other supporting components.